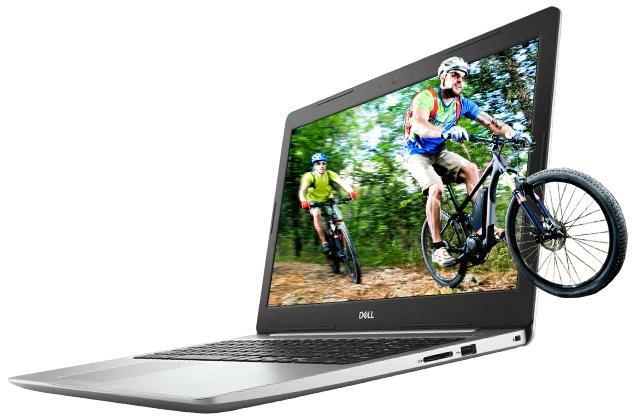 The Dell Inspiron 15 5000 5570 / i5570 is a typical 15.6-inch mainstream laptop. As a great plus, it is based on powerful quad-core 8th Generation Intel Core processors, as opposed to previous-gen dual-core chips. The quad-core update brings a good performance boost, which is noticeable in computing intensive tasks like music and video production or photography editing. As for the daily computing chores both available processor options – the Intel Core i5-8250U and i7-8550U – are more than sufficient. The same applies to system memory size of either 8 or 12 Gigabytes. Data storage options of the Dell 5570 / i5570 are generous, too. The basic one is a standard 1-Terabyte hard disk drive. You can add a 128GB solid state drive to the 1TB HDD for optimal speed and capacity. Or you can select pure 256GB SSD for even better performance. The notebook also optionally includes a built-in DVD optical drive. As for gaming, the notebook’s Intel UHD 620 integrated graphics is a basic game rendering solution. You can use it only for non-demanding games. That’s no wonder, since the UHD 620 is basically a re-brand of the old HD 620. However, the 5570 / i5570 is also expected to be available with an optional dedicated video card. 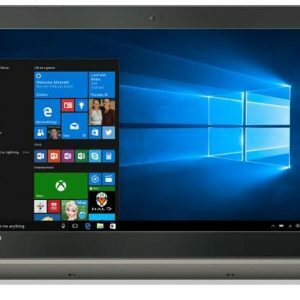 Having a sharp Full HD 1920×1080-pixel display resolution instead of the budget HD 1366×768 is a good selling point of the Dell Inspiron 15 5000 5570 / i5570. The same applies to optional touch-screen support. But, the screen is based on TN technology, meaning it lacks IPS tech for wide viewing angles. In the center of the platinum silver-colored chassis is a full-size keyboard with numeric pad and optional key backlight. The touchpad is a single-piece one, meaning it has click buttons integrated in the surface. Furthermore, the laptop has stereo speakers, a 720p HD web-chat camera, 802.11AC Wi-Fi wireless and Ethernet LAN network connections, Bluetooth, two fast USB 3.1 ports and a slower USB 2.0 port, HDMI video output, a combo audio mic / headphones connector, and a 3-in-1 SD media card reader. The 3-cell battery inside the 5570 has a medium-size capacity of 42 WHr. We have no info on battery life. Judging from the specs, we can assume it can last at least 4 hours on a charge. Weight of the Dell Inspiron 15 5000 5570 / i5570 is 4.4 and 4.8 pounds without and with the DVD drive, respectively. The profile is 0.9″ thick. Operating system choices are Windows 10 Home and Windows 10 Pro. Here's the specs sheet of the Dell Inspiron 15 5000 5570 / i5570. For comparison against other laptops, use the "Compare Specs" button. I would like just to ask if this unit is suitable for Revit and other engineering software? If not, what are your other recommendations? Really need it ASAP. Thanks in advance. Hi, the laptop can run Revit (and all other relevant engineering programs I think), but it isn’t designed for that purpose. It’s an ordinary consumer laptop. Also, I know that working with large models in Revit can require a lot of RAM, in some cases more than 32GB which is the maximum upgrade amount supported by the Dell 5570. Furthermore, some engineering programs may require a dedicated video card and this laptop has only the very basic Intel HD integrated graphics. Revit would also benefit from having a dedicated video card. For your type of work, mobile workstations are the best choice. They are made for engineers, designers, and similar. For instance, the Lenovo ThinkPad P series, Dell Precision series, or HP Z series. But they can be pricey. As a cheaper substitute, you can take a look at some consumer laptops with powerful hardware. These are mostly gaming laptops. For example, you can get a gaming laptop with the Intel Core i7 H-series six core processor, an Nvidia GeForce video card (1050 or better model), and support for large RAM sizes. These specs can match specs of the most of mobile workstations, while being generally cheaper. Some examples of powerful consumer laptops are the Dell G-series, HP Omen series, or Lenovo Legion series. I recently purchased a dell 5570 i5 series. I have a big concern the,The cooling vent on the laptop is at the bottomof the laptop i feel it will bring problems eventually as the laptop heats for now in a short space of time.Iam an I.T Engineer we repair & fix laptops. That kind of design is usally bad as the laptop should not heat whenon aflat surface like a table or on the bed. Its shocking how extremely hot it gets. Would the cooling vents at the bottom of the laptop not be a big problem for the laptop? Hi! I’m looking for a laptop that I can bring with me while traveling. I came across this review as I was looking for laptops in a similar price range. Can you please recommend one that has enough battery power but can also handle some photo editing? Thank you so much! You can configure it on Lenovo Store. If you add an IPS wide viewing angle screen, 8GB of RAM, and at least 256GB SSD on the basic configuration (with Core i5 processor which is decent for photo editing and daily tasks), the price is around $900. The T480 is good for travel because it has 2 batteries (2 x 24 WHr, decent capacity) and it’s a reasonably portable notebook. The good thing is that the secondary battery is upgradeable, up to 72 WHr, which is the probably the largest battery capacity you can get in a laptop (24 + 72 = 96 WHr). At an additional cost, of course. Or alternatively, there’s also a bit cheaper ThinkPad L480, which is similar but less rugged and has a single 45 WHr battery. If you don’t like the T480 and L480 for some reason, I can advise you to look for a laptop with an IPS screen (TN screens have narrow viewing angles, which is bad for photo editing), with at lest 8GB RAM for comfortable multitasking, and with solid state drive storage instead of hard drive for a better system responsiveness, boot-up times, faster program and file loading. 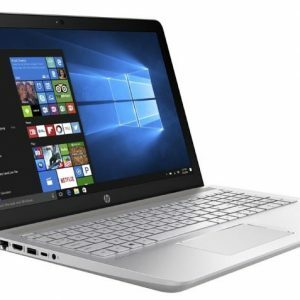 Hi, I am a Freshmen IT student, I am looking for a laptop which suits the needs of course. (Basically in programming and in media editing). We saw a 5570 i5 8 gen 4gb ram and my parents are thinking of buying it. 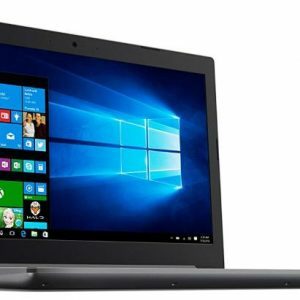 Is it ideal for me or should I look for other laptop? What laptop is advisable? My laptop inspiron 5570 8th gen has a little bit problem in Revit engineering software. Some colours change in view but true colour will appear when rendering . So disappointed. Now inew window update make solve this problem. Don’t put on your weakness to the others. Thank you. Hi I am thinking about buying the Dell Inspiron 15 i5570-5364SLV-PUS. Does anyone know what the screen display is like – Color, Clarity, Responsiveness, etc. Is this a good screen or a poor screen. I wanted it for viewing photos. Thanks!! Hi, I saw a Dell 5570 in a local store and was quite disappointed with the screen quality. It was a basic TN panel, but now i read in the specs of the i5570-5364SLV-PUS configuration that it has an IPS panel. This means the i5570-5364SLV-PUS has better viewing angles and color reproduction than those 5570 models with TN. I can’t comment on the i5570-5364SLV-PUS display in particular, because I haven’t seen it yet. But, if it’s an IPS panel and if brightness is decent, then chances are the screen on the 5364SLV-PUS is a good one for photo viewing. Except if you’re a photographer or designer who wants a professional-grade screen you can find on expensive mobile workstations. Thanks, But i think it is TN Technology. The 5570 display is just a toy suitable for children under five. I use the screen right in front of me. Side angle viewing is important for some but not worth extra $ for most. Hi,I have i7(8550) but I am not sure about the battery because when I use maximum it’s stand by 2-3hrs for normal process,if I watch video or play games only 1-1.5 hrs.Can you give exact battery power? Hi, your battery life seems to be unusually short. I don’t have the 5570 laptop myself, so can’t tell you exact battery life. But from my experience and use of a very similar HP notebook with 8th Gen i5, I think with the 42 WHr battery and standard “Balanced” Windows battery mode you should get at least 4 hours of normal usage and video playback with screen brightness lowered a bit. For instance to 75 percent. You should check in your Windows Task Manager if there is some background process eating your CPU power and draining the battery. And also try to reduce brightness if possible and set power settings to Balanced instead of Maximum. As for gaming, 1.5 hours seems to be realistic if you play some demanding game and if your configuration has a dedicated video card. Will I be able to run games like GTA V ,Watch dogs, Far cry 4 ? Can you Play PUBG on dell inspiron 15 5570 with intel core i5? In short, PUBG is playable on lowest detail settings and 720p resolution, but frame rates are not great. Also, you should keep in mind that the laptop model used in the video has dual-channel RAM. If you have a single RAM module in your 5570 configuration, performance will be worse. Thankfully, the 5570 supports dual-channel memory, so you can upgrade it to dual-channel. Hi, I don’t think the modern mainstream laptops need a cooling stand. I have a very similar HP notebook and there was no need for any kind of additional cooling. Even the built-in CPU fan (on i5-8250U CPU) isn’t always on during the normal laptop use and most of the time runs on slow speed and almost inaudible. The only scenario I can think of when a cooling stand is maybe helpful is if you have high CPU usage over long periods of time like converting video formats for hours and similar stuff. But even in that case, the laptop should work normally without a cooling pad. Does the M.2 slot for SSD is (PCIe ver3 X4 NVMe) that supports high speeds or …. ? Does gta 5 runs in this laptop? On the 5570 laptop, GTA 5 will perform very similar, since it has very similar Intel HD graphics. In short, the laptop can barely run this game and gameplay is choppy. Furthermore, if your 5570 configuration has a single RAM module instead of two (i.e 1x8GB vs 2x4GB), your gameplay will be even worse. is it posible to replace m.2 wifi+bluetooth card with m.2 sata card ? I assume you won’t be able to use the first slot for SSD. Dell’s support via Dell.com will maybe be able to give you a definite answer. 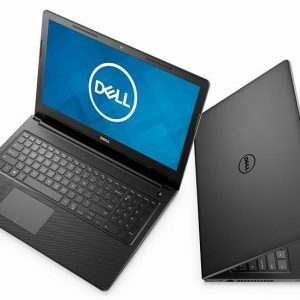 The official Dell website states the 5570 has optionally built-in fingerprint reader, so it is available only on select configurations of the laptop. On configurations with the fingerprint reader, it is built into the power button. Do you know if it heats up during excessive rendering use? I’m looking at the model with the dedicated Radeon 530 card but Im concerned about the lack of cooling ports. Any idea if it’ll run with AutoCad/BIM software? Does this model has any heating issue? I do not see any vents on the sides of the laptop. I am worried if it may heat up with continous heavy usage of 8 to 10 hours. Hi, I don’t own the laptop so can’t comment on heating, but can tell you the vent hole (for a single CPU fan inside) is on the bottom of the chassis. I have a Lenovo laptop with similarly designed cooling system and similar Intel Core U-series 15W processor, and haven’t had any heating issues so far during heavy usage. The Dell 5570 laptop doesn’t have a hot 45W Intel Core HQ CPU nor a dedicated video card (which requires additional cooling), so I wouldn’t expect any excessive heating on the 5570 with its existing cooling system. According to the official laptop manual of the Inspiron 5570 series, the laptop has one M.2 slot for SSD besides another M.2 slot for Wi-Fi / Bluetooth. Help! Got this from my husband: 5570 with the i7-8550U Processor and 16GB memory, 2TB on the hard drive. I mostly use my laptop for personal office type documents, email, Music, photo storage, and email. I use an iPad or my iPhone primarily, but need this for the office features. My current laptop is a 2004 Dell Inspiron with Windows XP if that gives you a clue how non tech I am. Question: would I be better off with a refurbished Mac that could interface with my iPad, or with this new Dell? Apple has tech called Continuity for integration between Mac, iPhone, iPad, iPod touch, and Apple Watch. You can do a Google search for “Apple Continuity” to find out more, but generally a Mac would be better than the Dell when it comes to interfacing with your iPad and iPhone. Windows laptops like your Dell can interact with iPads and iPhones, but support for that is quite limited compared to Continuity. Does this laptop heats up too much on gaming due to amd graphics card? What is the average battery life on normal use (without gaming)? Does it have a pcie slot for the new ssd’s? I just purchased a new Inspiron 15 5000 Series – 5570. Initial unboxing included step to activate fingerprint login but process failed. The computer only came with a minimal quick setup guide. I can’t tell if this machine is malfunctioning or if fingerprint login isn’t an option. Can anyone confirm? Also, when I begin to setup the process, it morphs into “windows hello” feature. I guess they are related? What material is the body made from? Dell hasn’t provided info on materials. I assume it’s all plastics, because if the laptop is made of aluminum (or a part of it – lid or base) they usually emphasize that fact in their product descriptions. No, it doesn’t. The Dell Inspiron 5570 has only full size USB ports. Two USB 3.1 and one USB 2.0. Hi, as far as I know, the currently available Inspiron 5570 configurations with Intel integrated graphics don’t include USB-C. USB-C will be available on configurations with dedicated graphics, according to Dell’s official specs sheet. Also, if you take a look at images of the 5570, USB-C is missing. Anyway, thanks for the heads up. We’ll update this page when the new 5570 configurations with dedicated GPUs and USB-C hit the market. Mine only has Intel graphics and does have USB type c, next to the power jack. does it support virtualization technology???? Yes, the i5 and i7 processors in this laptop support virtualization via VT-x and VT-d technologies.